Are you looking for an affordable way to upgrade the appearance of your outdated kitchen cabinets? Refinishing your cabinets is a great way to get a brand new look in your space without the huge expense of replacing the cabinets. Instead, we can just clean them up, sand them, and refinish them in a new color or stain. 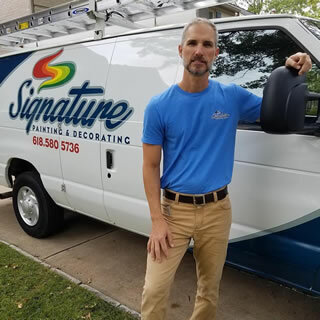 Signature Painting Company is a full service painting contractor based out of St. Louis, Missouri. We specialize in repainting cabinets in your kitchen, bathroom, laundry room, or any room in your home with storage cabinets. With over 20 years experience in the painting and refinishing industry you can feel confident that you’re hiring a proven professional. We can apply a new smooth finish to your cabinets that will resist chips, scratches, and stains and is easily maintained by simply wiping with a cloth. Removal/replacement of all hardware from the cabinets. Scraping and sand areas to be painted for a smooth surface. Protect and cover floors, moulding, windows, furniture, and any other surfaces not to be painted. Apply caulking at seams where ever necessary for a nice clean finished job. Thorough cleaning of the cabinet faces (drawers and doors) to be painted. Scrape and sand any loose or flaking paint or stain. We will repair any cracks, dents, or old nail holes. Why Would You Refinish Your Cabinets? Because it’s a great way to improve the appearance of your space without the high cost of replacement. 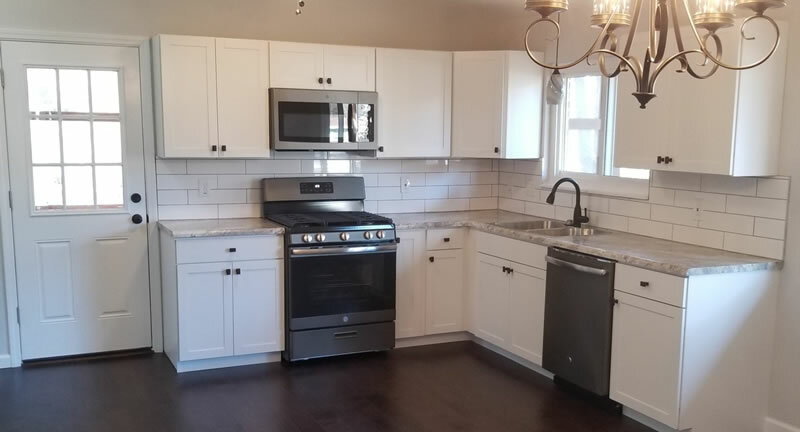 Signature Painting Company provides cabinet refinishing services throughout the St. Louis, metro and we can give your old, outdated cabinets a brand-new look that will make your space much more modern and enjoyable to spend time in. We can do this for a fraction of the cost of replacement. We use very specific paint for our cabinet refinishing projects that is smooth, durable, and easy to clean and maintain. 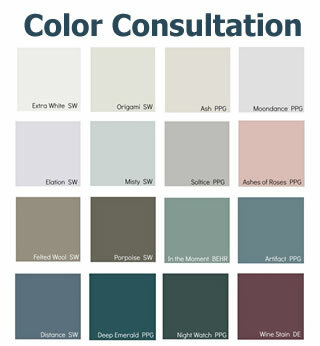 We can refinish your cabinets into a modern white tone or any color or stain tint of your choice. Refinishing your cabinets will modernize your home interior and add years to the life of your cabinetry. We can even add new hardware such as handles, knobs and repair any broken or bent hinges so your cabinets don’t just look new, they actually feel new! Your bathroom cabinets or bathroom vanity can often take a back seat to the kitchen but they also see frequent use. The humidity in your bathroom can wreak havoc on the cabinets and the frequent use can often leave scratches, dent, or cracks that detract from the appearance. If your bathroom hasn’t been updated in years then you may also have a color scheme that is no longer appealing but instead tacky or dull. Refinishing your bathroom cabinets is a quick way to refresh and modernize it’s appearance and protect the surfaces for many years. You’re bathroom will have a whole new amazing look after refinishing the cabinets. Why Choose Signature Painting Company To Refinish Your Cabinets? When you choose Signature Painting Company to refinish the cabinets in your home you’re partnering with a team of professional painters with decades of combined painting experience. We’ve been in business since 2001 and have refinished hundreds of cabinets in that time. Owner (Matthew Laws) is present on every project and takes great pride in the work that Signature Painting Company completes in our customers homes. We care about your cabinet refinishing project and we want to make sure we do the best job we possibly can. We provide unbeatable value, we keep your home spotless, our pricing is fair, and the quality of our cabinet refinishing work is unmatched. If you’d like to schedule an estimate to refinish the cabinets in your home then give us a call (618) 580-5736 or fill out our online contact form and we’ll get right back you.